Q. David Bowers is the author of over three dozen books on various historical subjects, including Muriel Ostriche: Princess of Silent Films, Nickelodeon Theatres, The History of U.S. Coinage (for The Johns Hopkins University), The Encyclopedia of Automatic Musical Instruments, and other works which have become standard references in their fields. The authors interest in cinema history dates from August 1957, when on a visit to Philadelphias Pine Street district of antiques shops he purchased a collection of one-sheet Biograph, Vitagraph, and other silent film posters which had been deaccessioned by Harvard University and sold to a dealer in old prints. Since then he has built an archive of cinema periodicals and publications, including many items formerly the property of George Kleine, Martin Quigley, William Fox, and other notables in the industry. 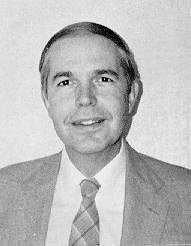 A 1960 graduate of the Pennsylvania State University, Q. David Bowers was given the Alumni Achievement Award by that institutions College of Business Administration in a ceremony in 1976. With Raymond N. Merena he is co-owner of Bowers and Merena Galleries, Inc., a worldwide business based in Wolfeboro, New Hampshire. The authors mailing address is: Box 1224, Wolfeboro, New Hampshire 03894-1224.